Nick Zwart is founder of 3DLES (Education in virtual worlds) and Nixwárd New Media Creations. He was born in Amsterdam, worked as a parttime ICT teacher at the Fontys University in Amsterdam and as an independant webdesigner since 1999 creating online applications in Flash, html and php for education, music and advertising. From 2006 he started research on how online 3D virtual worlds like Second Life and OpenSim could be used within education. In 2011 he launched the educational company 3DLES that offers project management for educational projects in OpenSim. For the 'Digitale school' (Digischool.nl) in the Netherlands he researched the possibilities of using Second Life for secundary education. In 2009 the Digischool project on 'TeenSL' switched to an OpenSim environment where Nick started to build several virtual language villages (Chatterdale and Parolay). In 2011 he won two European prizes for the virtual language village Chatterdale and Parolay. From 2010 the 3DLES Edugrid is active. This grid runs on OpenSimulator software and is a showcase for all eductional projects that 3DLES has been working on over the past years. The island of the Niflar project and the TILA project can be found there, but also the prize winning Chatterdale and Parolay can be visited. This grid is used for presentations and lecturing, anyone can visit. For the University of Alcala de Henares in Spain (2012) he worked on data gathering and practical use of Non Player Characters as teachers in an OpenSimulator language environment. From January 2013 until the end of 2015 he was consortium partner in the European TILA project, investigating the use of OpenSimulator and Big Blue Button as tools for telecollaboration between schools in different countries in Europe. 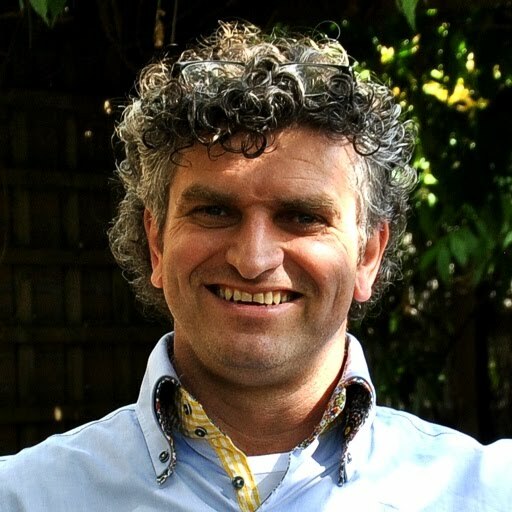 In 2015 he also worked on an educational gamification project for the city of Eindhoven (NL), creating a new language collaboration game in OpenSimulator. In the summer of 2016 he joined the research team of the EVA Park project , based at the City University of London. In this project the virtual world (OpenSimulator) is used to help people with aphasia. From October 2016, Nick's company 3DLES is consortium partner in the European TeCoLa project, 3DLES is in charge of the gamification part of this 3 year EU funded project. Games Used IN Engaging Virtual Environments for Real time language Education projects.